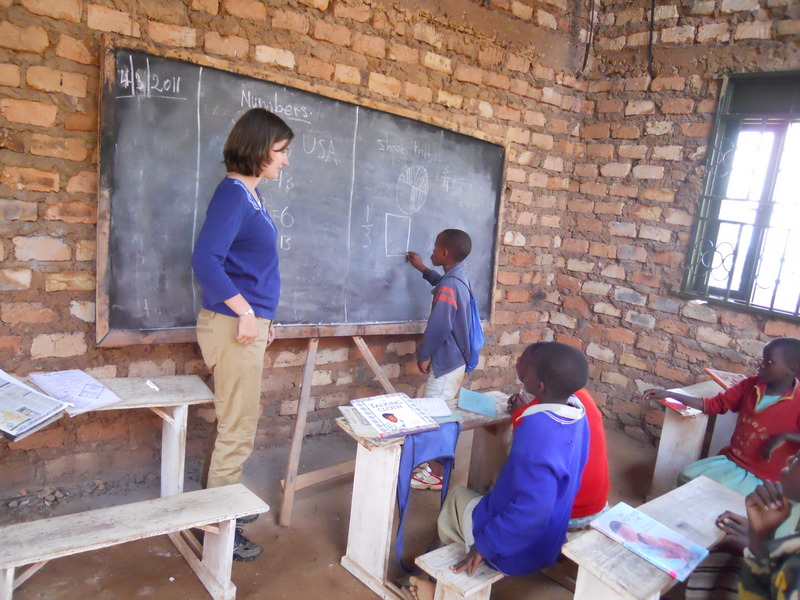 Visiting a Ugandan Orphanage | Where is Yvette? 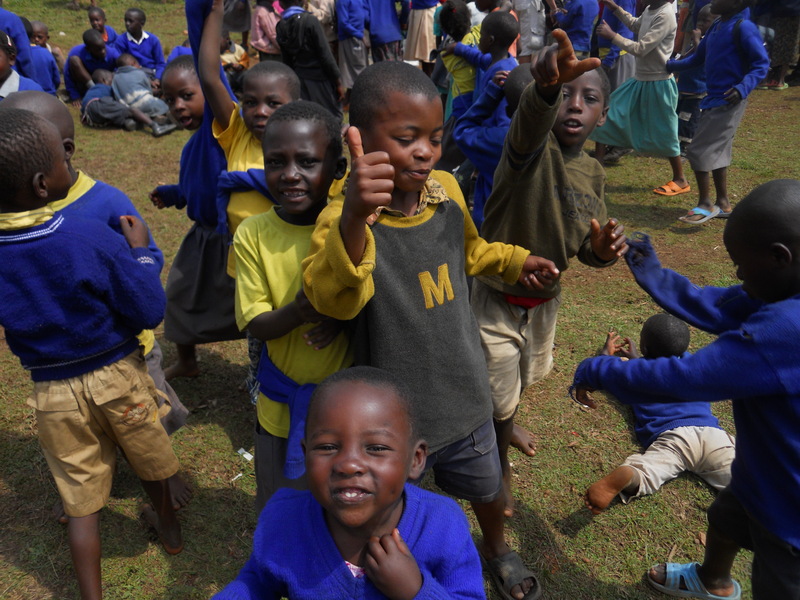 Here’s a tip: if you ever find yourself at an orphanage in Africa make sure you go with a fresh camera battery! This is because most of the time will be spent with your camera on not really by choice but because a crowd of kids will surround you begging to be photographed so they can then crowd the viewscreen and comment on how they and their friends look. Repeat repeat repeat, but of course this works out for some fun pictures as everyone knows there are no ugly children in Africa! 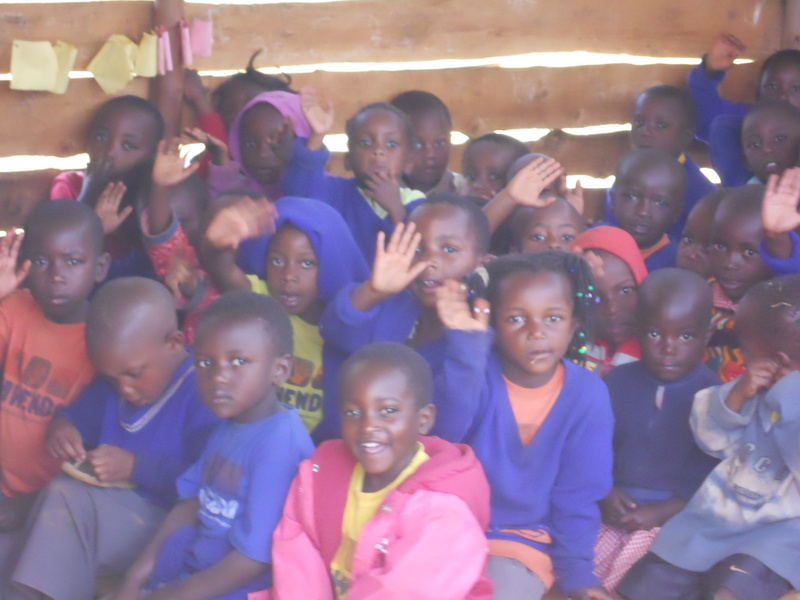 One of the nursery classes- the children here range in age from 3-14 after which a small percentage of them go to secondary school (which costs $600 a year per in this part of the world and a crippling expense in a country where the majority are unemployed). Visiting one of the classes for older kids, where after a few minutes of watching the teacher put the stub of chalk in my hand and told me to teach some math. Well I’m glad that Physics M.S. is getting used for something! Most of it was just basic sums but I jazzed things up a bit when during the “shade [insert fraction] of the [insert shape]” part of the lesson I showed them what a pentagon was and got an adventurous lad to come up and shade half of it. Two random things I noticed and thought were interesting: first of all when faced with a difficult sum that exceeded the number of fingers these kids would just move onto their feet and count toes because if they had shoes they were flip-flops. Second it turns out in this part of the world if you get the answer right your classmates celebrate your feat with a little cheer- “Mer-cy, Mer-cy, you are so-o good!” or whatever. Great little self-esteem booster for a kid who solves a difficult problem! Finally, time for recess where several kids latched onto my arms when they weren’t taking pictures with the camera. These kids above were using recess to stage a wedding in which I was drafted as the photographer- interestingly they all hummed Wagner’s Wedding March as the bride walked down to meet the groom. Culture manifests itself in interesting ways. So that was certainly an interesting way to spend a morning, as of course it’s fun to interact with little kids although your heart breaks a little seeing how little they have. 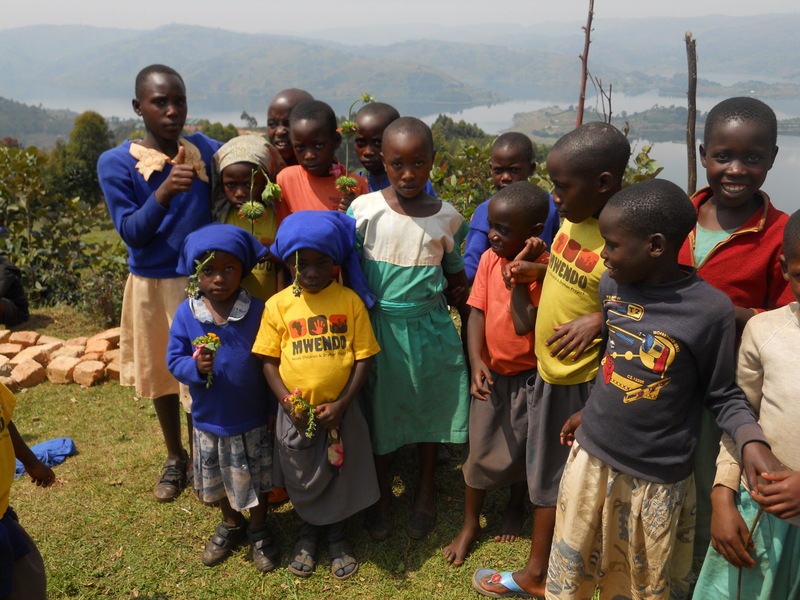 The project makes its money from donations from visiting tourists in the area so if you ever find yourself near Lake Bunyonyi, Uganda with some time to kill before or after a gorilla trek be sure to stop here and tell the kids hello. 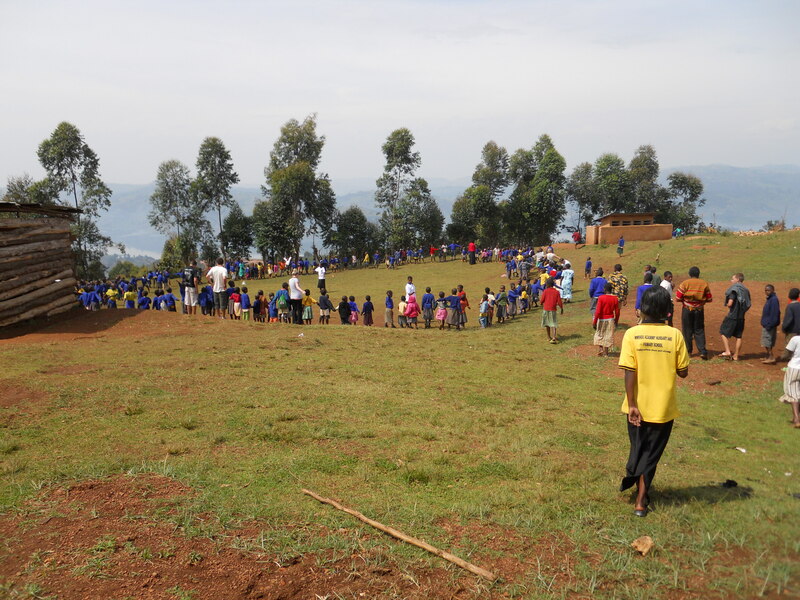 This entry was posted in RTW #2, Uganda. Bookmark the permalink. What a lovely story – and the children look truly beautiful.